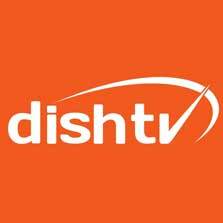 Dish TV India Limited (BSE: 532839, NSE: DISHTV, LSE: DTVL) today reported first quarter fiscal 2019 consolidated subscription revenues of Rs. 14,893 million and operating revenues of Rs. 16,556 million, up 8.1% and 8.0% QoQ respectively. EBITDA for the quarter stood at Rs. 5,568 million. EBITDA margin increased to 33.6%. On March 22, 2018, Videocon D2h Limited had merged with and into Dish TV India Limited with the appointed date of the merger being October 1, 2017. Financial numbers for 1Q FY19 are thus not comparable with the corresponding period last year (1Q FY18). The Board of Directors in its meeting held today, has approved and taken on record the unaudited consolidated financial results of Dish TV India Limited and its subsidiaries for the quarter ended June 30, 2018. Subscriber additions picked up speed during the first quarter. The net number of 301 thousand additions were positively impacted by a sports heavy programming calendar. Ramadaan on the other hand moderated the additions in line with past trends. Phase 4 of Digitization continued to dominate subscriber activations. The sheer number of households pending conversion in Phase 4 indicate sufficient growth potential for the industry going forward. 44% of all subscriber additions were of High Definition. In total, HD subscribers form a promising 17% of the total net base of the Company. Subscription revenues for the quarter increased 8.1% QoQ to Rs. 14,893 million. Incrementally higher HD viewership, lower discounts at package levels and a price hike across a majority of recharge packages brought about this increase in subscription revenues during the quarter. ARPU for the quarter leaped to Rs. 214 from Rs. 201 in the previous quarter. With integration across functions getting almost complete, initial cost synergies materialised during the quarter. Backend, IT and infrastructure synergies were the key contributors to a 38.9% growth in EBITDA sequentially. The overall EBITDA margin jumped to 33.6% from 26.1% in the previous quarter. “We remain positive on achieving the Rs. 5.1 billion synergies that we have envisaged from the merger for the current fiscal. Part of the estimated synergies are going to be due to a more rational programming cost. Our interactions with our broadcasting partners so far reinforce our belief in the strength of the new Dish TV platform,” said Mr. Goel. With The TRAI Tariff Order coming into force on July 3, 2018, the industry has a 180 day window to ensure its implementation on the ground unless it is challenged by any of the stakeholders. Dish TV India Limited sees the regulation to have the potential to minimize discriminatory pricing by ensuring a level playing field between cable and DTH platforms. Dish TV was the first in the industry to partially and voluntarily roll out the provisions of the Tariff Order by offering a-la-carte channels to its subscribers at affordable prices. A total of 2.4 million subscribers on Dish TV's platform have so far opted for such paid a-la-carte offerings thus resulting in incremental revenues for the company. During the quarter, Dish TV India Limited achieved the ISO 27001 Certification for its Noida and Greater Noida based facilities. ISO 27001 is considered the Gold standard in information security. It sets out and describes requirements and best practices for an Information Security Management System. The IMD's forecast of a normal monsoon augurs well for the economy at large and is likely to give an impetus to rural demand. Higher government spending on welfare schemes and development programmes in the run-up to the elections will trickle down to the end consumer. There are clear signs of robust consumer demand continuing and fortifying the Indian consumption story. Mr. Anil Dua, Group CEO, Dish TV India Limited, said, “We have started a new innings and this year is going to be the year of change at Dish TV. Change for the good.